Gentle farmer Arthur Hoggett wins a piglet named Babe at a county fair. Narrowly escaping his fate as Christmas dinner when Farmer Hoggett decides to show him at the next fair, Babe bonds with motherly border collie Fly and discovers that he too can herd sheep. But will the other farm animals, including Fly’s jealous husband Rex, accept a pig who doesn’t conform to the farm’s social hierarchy? 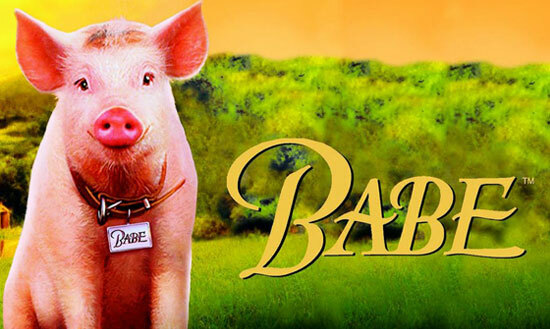 Filled with a supporting cast of talking barnyard animals and a chorus of singing mice (courtesy of computer enhancements and clever animatronics), this frequently hilarious, visually imaginative film was a surprise hit in 1995 and nominated for six Academy Awards.